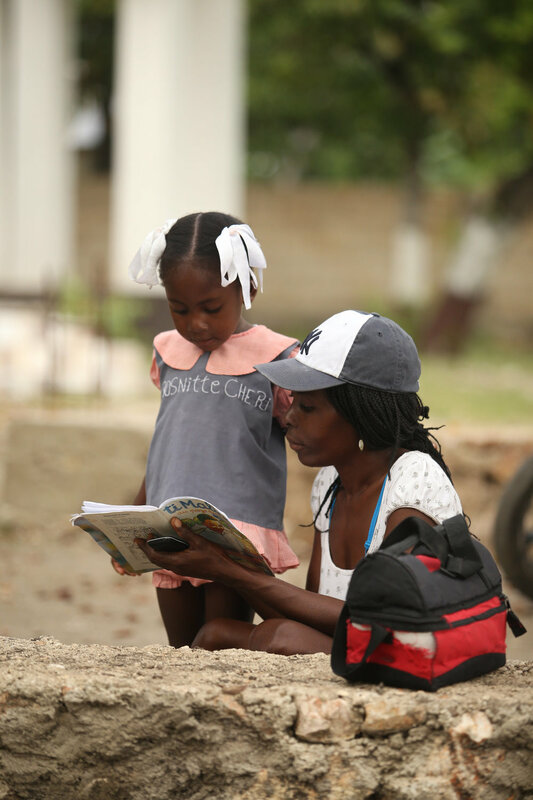 As many of you know, the relationship between Colorado Haiti Project (CHP) and St. Mary Magdalene goes back many years and many trips to Haiti. Teresa Henry and Paul Chyc, parishioners at SMM, are Board members of CHP and long-time friends to Petit Trou. Father Bruce has also been a long-time friend to CHP and St. Paul's. Countless others of you have been deeply engaged and we have been beyond grateful to count on the continued efforts of SMM over the years. 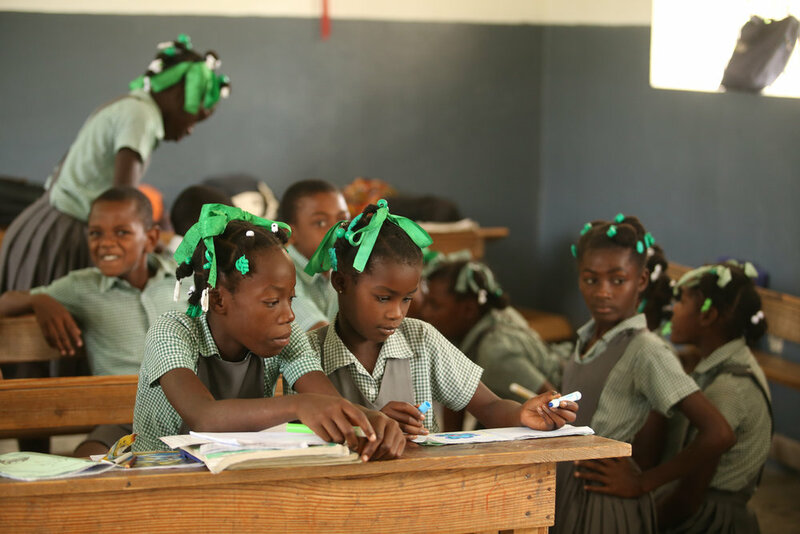 This year, the Colorado Haiti Project (CHP) marks 30 years of partnership with St. Paul's School and Parish in Petit Trou de Nippes. 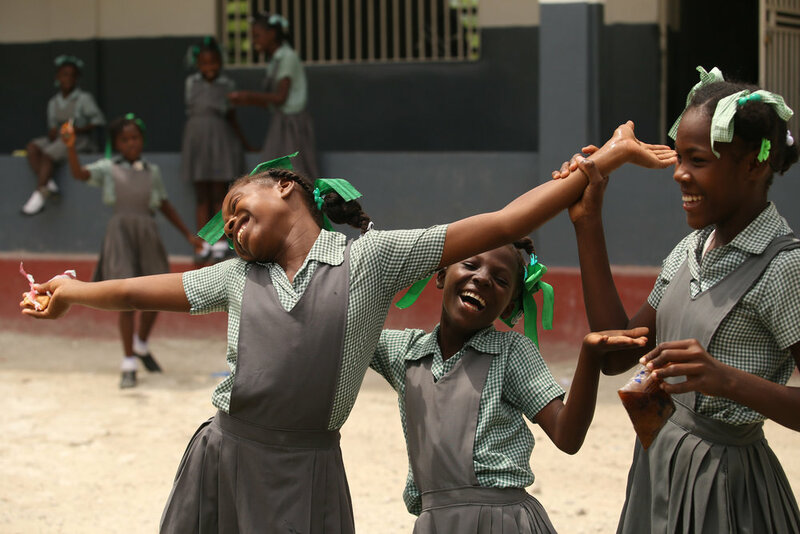 St. Paul's, founded by Episcopal priests Father Ed Morgan and Dayle Casey from Colorado and Father Octave Lafontant from Haiti, began with a simple parish and school and has grown to include community-led programs in girls' empowerment, agriculture, community health, and jobs creation. While these community-driven programs are an important part of our current programming, St. Paul's School continues to be our foundational commitment and priority relationship. 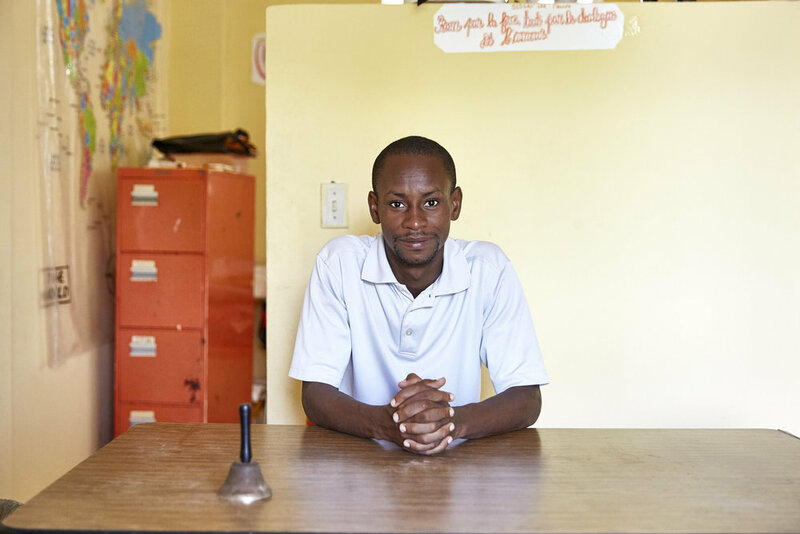 When the earthquake struck Haiti in 2010, cracks appeared in the structure of St. Paul's School. The leadership at St. Paul's and CHP have together monitored the structural integrity of the building. Over the past 18 months, we’ve hosted multiple engineering firms in Petit Trou to evaluate safety, and ultimately we have determined together that the structure is not safe for students. Our 322 students are currently using the safe buildings on campus for school, in addition to outdoor spaces. These buildings include the church and cafeteria, and while they are a safe and passable short-term solution, they are not ideal in the long-term. This urgent and essential repair and improvement project will provide a safe and durable space for our students while safeguarding the long-term future of St. Paul's School and transitioning the campus to solar power. The Capital Campaign at SMM will provide critical funding for this project. See below for further details about the project. 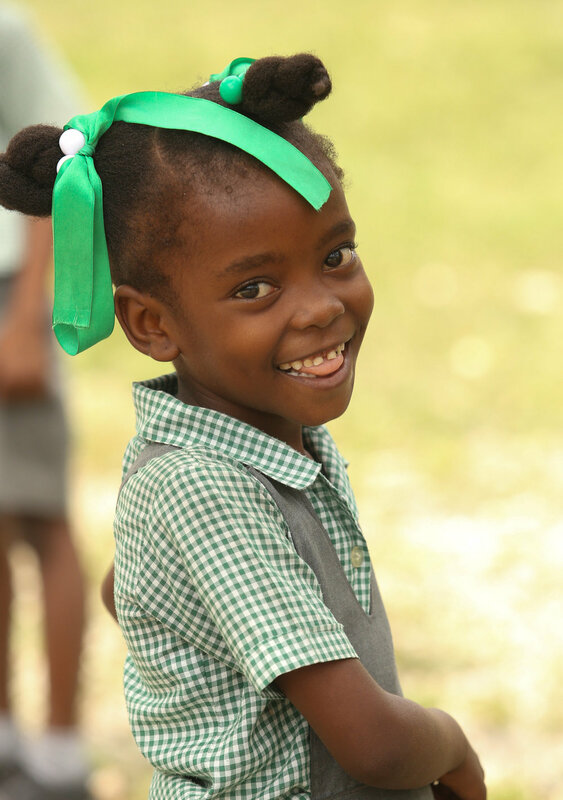 We also hope to plan a SMM trip this fall to Haiti! Stay tuned for more details, and email frbruce@smmboulder.org if you are interested. 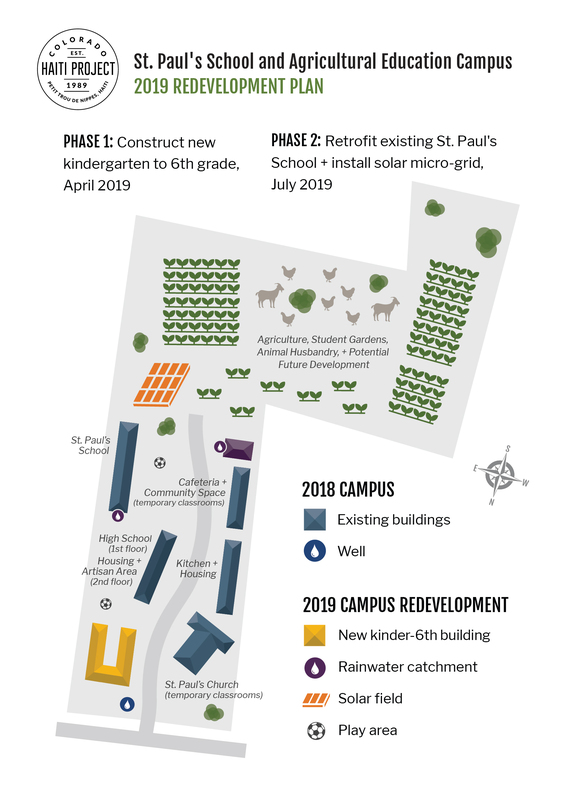 This urgent and essential project to provide a safe and durable space for our students while safeguarding the long-term future of St. Paul's School will be carried out in two phases, including transitioning the campus to solar power. Phase 1 - Build a structure to house our Kindergarten through 6th grade classes. This building will have 7 classrooms and two offices, providing space for roughly 220 of our children and costing approximately $180,000. Phase 2 - Convert significant portions of the existing St. Paul's School into a one story, light roofed structure, with the goal of preserving important water cisterns and using the foundation to support safe, simple, lightweight, one story structures. Once this retrofit is complete, we will also transition the campus to solar power and use make important structural investments on the farm. Phase two costs approximately $120,000.